After Konica introduced the world first mass-produced 35mm auto-focus camera (the C35AF), Canon responded with the AF35M (Autoboy in Japan/SureShot in North America) in 1979. 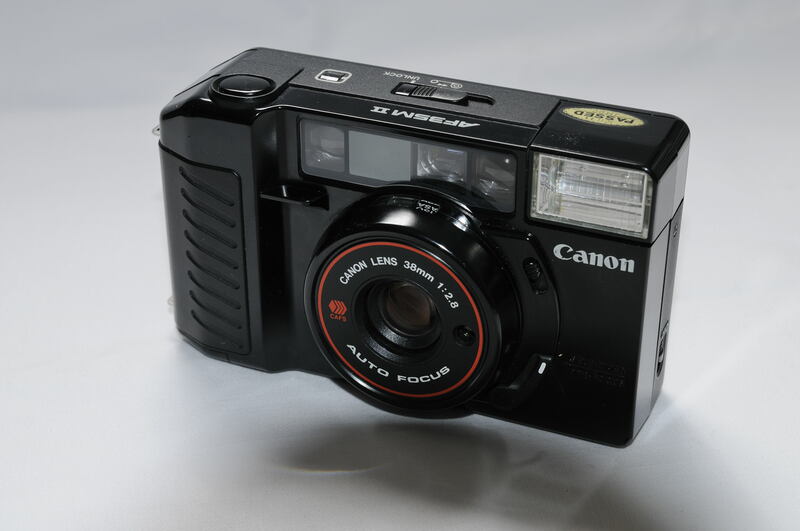 Then in 1983, Canon released its successor, AF35M II, which is the camera in the picture above. The auto-focus system of the camera is neither contrast detection used in today’s digital point-and-shoots nor phase detection used in DSLRs. It instead uses triangulation of active near-infrared beam. This system does not offer multi-point AF or face detection but it allows the camera to focus in total darkness! 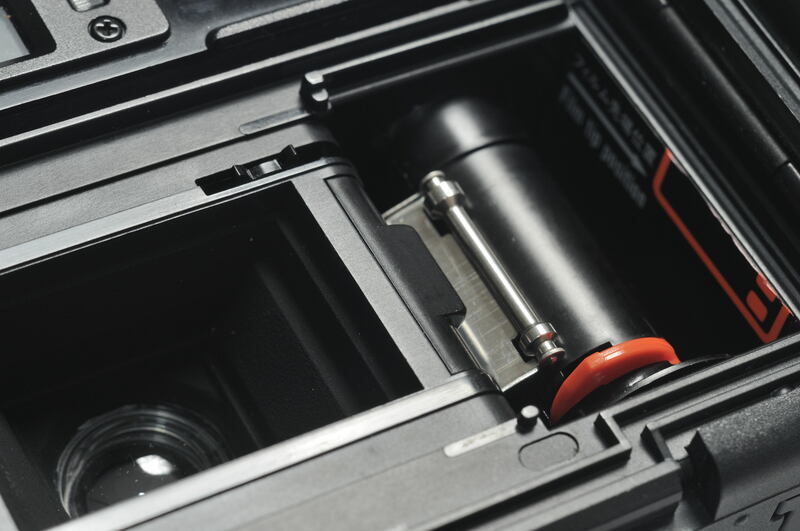 To simplify the process of loading film, the AF35M II is eqiupped with an improved and thus easier version of Canon’s earlier QL quick load system. This is for sure a welcomed feature for novice camera users. Another hightlight of the AF35M II is its built-in motorized lens cover that will also lock the shutter when it is closed, a common feature in today’s point-and-shoots but a high-tech selling point in early 80’s. It is also the third Canon camera without a “lens cap” after the Snappy 50 and 20 released in 1982. 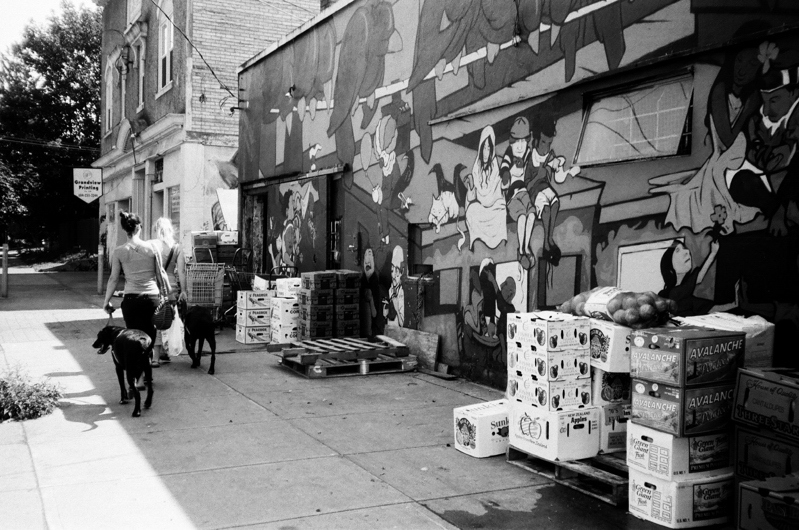 The active near-infrared AF system combines with its fast 38mm f2.8 lens makes the AF35M II an alternative choice for street photography or even photojournalism. I remembered reading about photojournalists using 35mm point-and-shoots in the 80’s to report civil unrests in situations where photos are discouraged or prohibited since anyone holding a MD-4 attached F3 will sure attract attention from local authorities. To use the AF35M II for such purpose, there are a few tricks that helps. First, and also the most important one, is the motor winder of the AF35M II is super loud! However, film will not be winded after the shutter fired as long as the shutter button is kept depressed. This can delay the film winding until you find a place (or in your pocket) where the noise from the motor will not notify the presence of the camera. Second, although the camera is fully automatic, you can still do exposure compensation by using the ASA film speed dail, a trick that is not possible for cameras that set film speed automatically by using DX coding. The AF35M II above is my family camera after the retirement of the Yashica Electro 35 GSN. It was easy enough for the whole family to operate, including my grandma and grandpa. 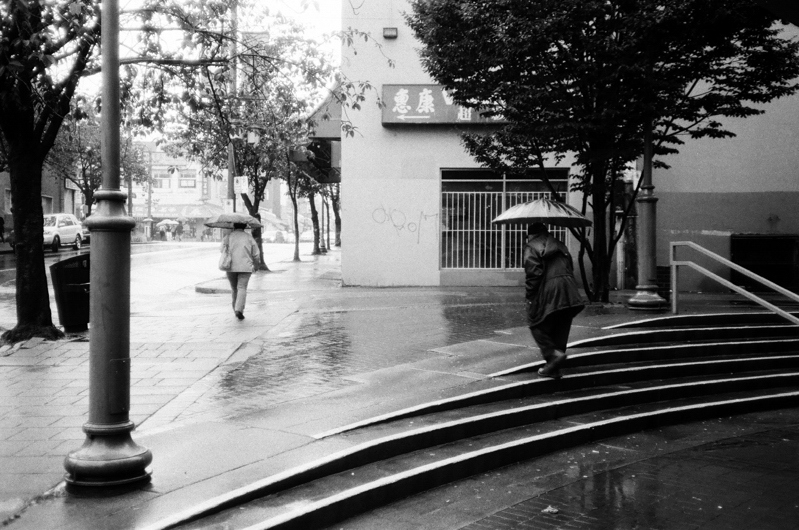 While I was still in junior high, I took this camera with two rolls of T-Max 100 for a short trip to China to do some street photography and the experience was amazing. The shots above were taken short after I acquired this camera from my grandma who is using a Nikon L20 digital point-and-shoot now! This entry was posted in Point and Shoots. Bookmark the permalink. How much this camera costs nowadays? Unfortunately, it won’t cost much, possibly about $10USD.